One day while sunning himself on the warm sandy beach, Rollie heard a strange noise. He cocked his head and listened hard to hear it again. Suddenly, the noise was much closer and louder than before. He searched the water to see where it was coming from—trying to see through the waves and the boats—and there it was! Looking straight back at him was what Rollie could only believe was a reflection of himself! MICHELLE PATCH is a mom, wife, school counselor, and licensed clinical professional counselor. She was born in Maine and spent summers at her grandparents’ camp on Thomas Pond. There she learned the importance of family, friends, music, and the magic of loons and the pond itself. Michelle grew up in a Navy family, moving every few years, both in the U.S. and Europe. She moved back to Maine with her family and completed high school in Cape Elizabeth and received her bachelors in social work from the University of Maine and her master’s degree in clinical counseling from the University of Southern Maine. While she experienced many changes growing up, there have always been two constants in her life—Boston terriers and Thomas Pond. These constants led to her becoming an author. 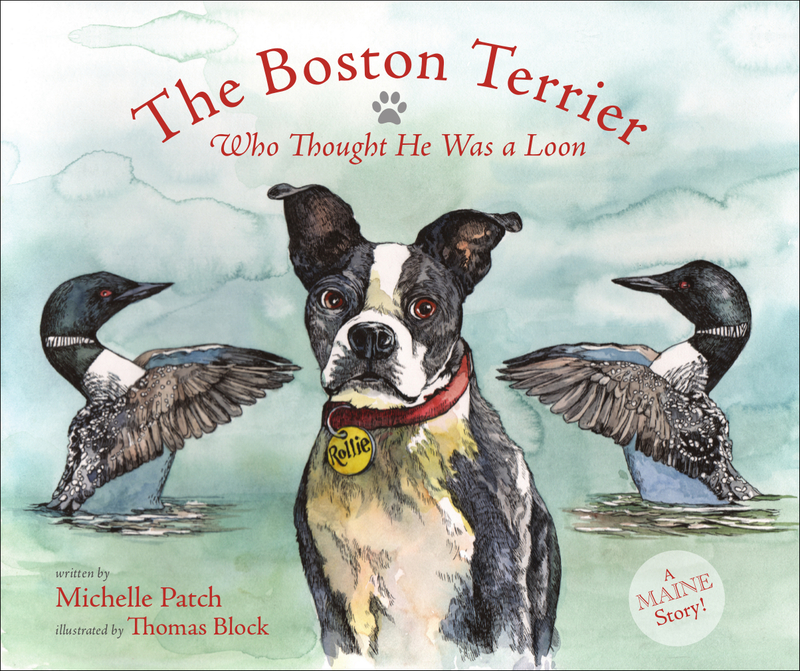 Michelle currently lives on Thomas Pond with her husband Tim, son Cameron, daughter Nicole, and Rollie’s little brother and Boston terrier Gus.